Apple is one of the most important operating systems on the market today. A large part of the world’s population has devices of the brand and are happy with them. Because the performance it provides is excellent. However, there is something that all users should know and we will take care to tell you. It is iForgot and it will help you recover your Apple ID account when you can not reset the password. What is iForgot and how does it work? If you have an Apple device and you have two-factor authentication active and you can not sign in or reset your password, there is a way you can regain access to the account. This will work after the waiting period for account recovery as such. This is a process that is specially designed so that you can access your Apple ID account. Even when you do not have all the information you need to have to reset the password. However, it is possible that they will spend a period of time. So that you can have your account and all its contents in use again. Keep in mind that the easiest and fastest way to reset your password is from a branded device. Before you start the waiting period for account recovery you should try to reset the password. This must be done from another device that is completely trustworthy. You can do it from any device of a friend or family, while it is of the same brand. You must use the “Find my iPhone” application so you can reset the password. If you do not give much confidence to do this for you, you can only go to an Apple store so you can ask him to help with this. 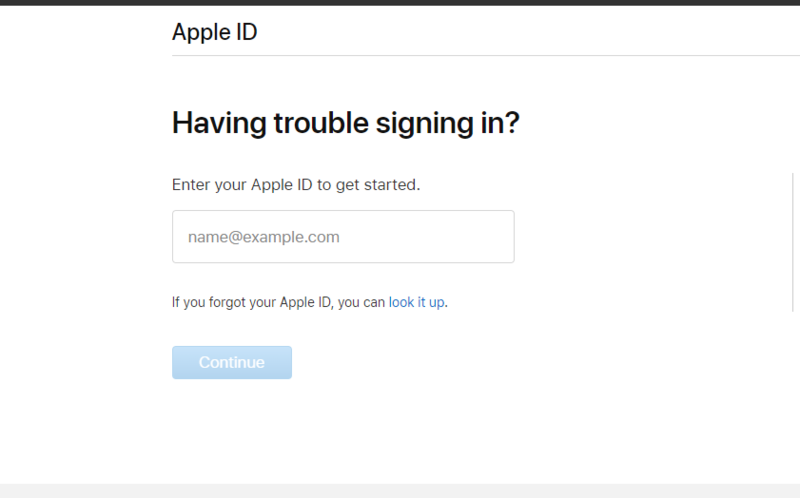 If you are not successful with these methods you should go to the website appleid.apple.com and you must select “Forgot your Apple ID or Password?”. You must provide the service with all the information you can and then you must start the waiting period for account recovery. This time of delay or delay can be a bit annoying. But you should understand that this is a way to provide protection to the information. Once you have requested the recovery of the account you will receive an email with the information you have requested. In addition you will attach the date and time that Apple considers that you can recover the access. Once the waiting time has passed, you will receive a text message, a phone call where an automated voice from Apple will give you all the steps. So that you can fully recover access to your account. You must follow the instructions to the letter to have full access to your account. Apple is a system that gives a lot of help to users. That’s why at any time you can see how the process goes to recover your account and when you can have more information. For this you must go to the web iforgot.apple.com and you must enter with an Apple ID. In many cases it is very likely that you provide important information such as credit card information. And in this way you can shorten the waiting time. If you have the option to confirm your credit card, a request for authorization will be sent to the owner of the card. If you remember the information before the waiting time is over, you can start the session correctly and the process will be canceled immediately. Remember that you can always get help for the different Apple Technical Support services. There they will help you answer all your doubts about the recovery process with iForgot.